It turns out that the national college admissions scandal that has rocked the country has some specific connections to former Granite Bay High students and their families. 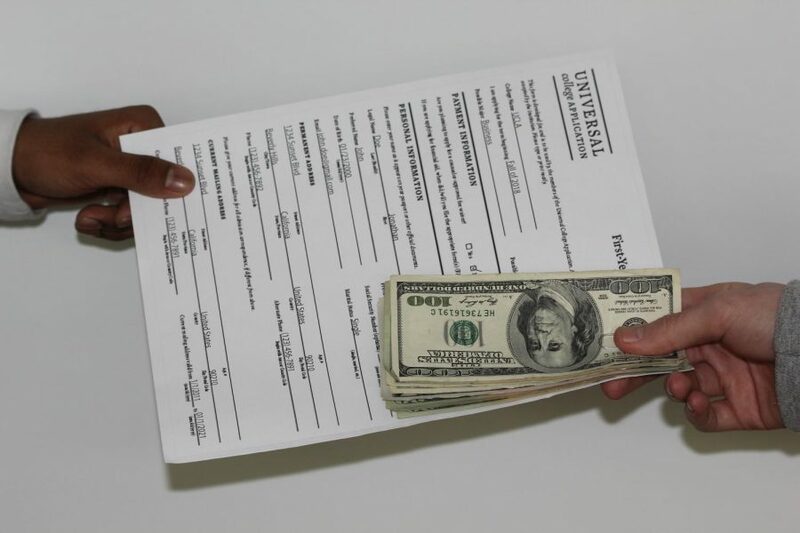 William “Rick” Singer was indicted in March in a $25 million scheme involving college-admission test fraud and bribes solicited from families and paid out to college sports coaches and other university officials. The goal was to get otherwise unqualified students into elite universities including Stanford, Yale, UCLA and others. 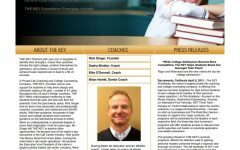 Singer owned The Key, a college counseling business that had its roots in Granite Bay, where Singer got his start in the private college counseling business. Singer helped many local families with the college admissions process. Sydney Larson, who attended Rio Americano High her freshman and sophomore and then transferred to GBHS to finish her high school career, graduated in 2015. She was a talented swimmer with promising potential to compete at the Division 1 level – but she had less-than-stellar college entrance test scores. It turned out her father knew Singer. “We were members at the same gym, Arden Hills Resort Club & Spa – Rick and I would work out together, and it started casually as we were both business owners and it grew into a friendship,” said Dan Larson, the father of both Sydney and current GBHS senior Jax Larson. “My daughter had anxiety for testing all the way through high school,” Larson said. After family discussions and input from Sydney’s club swimming coaches, Larson decided private tutoring would be most beneficial for his daughter. “The (club) coach said, ‘You should talk to Rick – he’s really good at what he does,’” Larson said. During Sydney’s sophomore year in 2012, Larson scheduled a one-on-one meeting in which Singer described the services he would provide to the family. Singer explained his unconventional form of payment. “He said, ‘Here’s how it works … it’s a tutoring company, you make a donation to the nonprofit, and that enables the tutoring to happen,’ ” Larson said. The nonprofit was Singer’s charitable organization, The Key Worldwide Foundation. It was used, according the the indictment filed against Singer last month in federal court in Boston, as a conduit to collect bribes that Singer used as means of accessing what he told clients was a sure-thing admissions “side door” into elite universities. The money was then paid to college sports coaches, who had slots available for student athletes at their schools. In some cases, Singer arranged for the compilation of fake athlete profiles that included the Photoshopping of client’s heads on the bodies of actual student athletes. Affluent families would “donate” large sums of money – in perhaps the best-known case, actor Lori Loughlin and her husband, Mossimo Giannulli, paid $500,000 to get their daughters into the University of Southern California – and because the payments went to a charitable foundation, the families also got a break on their taxes. Larson said Singer told him he would need to make a donation to the Key Worldwide Foundation to pay for Singer’s tutoring support. The price for entrance-exam preparation? “We ask for a minimum of typically 15 grand,” Singer told Larson. The typical price for an SAT tutor ranges from $45 to $100 dollars an hour, according to the website tutor.com – assuming Singer was charging a mid-range price of $70 an hour, Sydney Larson would have been the beneficiary of 214 hours of exam-prep tutoring. Singer then offered Larson an explanation as to why his services were so pricey – he would set Sydney up with a physician who could give her a diagnosis for testing anxiety, and that would give her an opportunity to take an untimed SAT test. — Dan Larson, who was asked to pay $15,000 to Rick Singer for tutoring for his daughter. Larson’s daughter wasn’t the only student offered a personalized SAT experience. According to media reports, Singer would often counsel parents to get a letter of recommendation from a medical expert that would allow the student to have unlimited time for the test. Singer would then arrange for the student to take the test alone with one of two proctors he’d bribed who would either take the test for them or change the answers after the student had finished the exam. On some occasions the answers would be changed without the student’s knowledge. In Larson’s case, Singer didn’t give lots of details about how things would work. Larson said Singer was professional, casual and matter-of-fact in his initial sales pitch. Larson remained skeptical about hiring Singer and eventually refused to participate. He was convinced he made the right decision when Singer essentially made a demand for even more money. “He said something else, the part that always stuck with me – he said, ‘If your daughter needs more attention, we would expect a bigger donation,’ “Larson said. What extra attention Singer was referring to at the time was unclear to Larson. Sydney Larson attended the University of Houston, where she swam for two years before having to leave due to medical issues – all without any help from Singer. According to media reports and the indictment, Singer moved to Newport Beach in 2011 – but he still spent time in the Sacramento area, and he worked with some students through at least the fall of 2015. Larson said that, just days before the indictment, he saw Singer working out at Arden Hills. “I was walking through the gym and walked by him sitting on a recumbent bike,” Larson said. “By that time, he knew what was going down and what was coming up. The Larsons aren’t the only Granite Bay family who had a brush with Singer in his role as one of the Sacramento area’s top private college counselors. And most of those local families had no idea Singer was involved in any illegal activity when they were his clients. The Holt family is one example. Jordan Holt, who was a mid-year GBHS graduate in December 2015, attends the University of Kentucky, where she will graduate next month. Her family hired Singer in the fall of 2013, her sophomore year at GBHS. He was recommended to them by other local families. Jordan was a competitive soccer player who was looking to play at the next level. She and her family looked to Singer for help. Singer worked closely with Jordan, preparing her for standardized tests. He acted as her tutor. “He was helpful with SAT prep (flashcards and definitions) and worked with Jordan every other Wednesday morning for approximately a semester,” Deidre said. The Holts hired Singer for only a few months, and they didn’t suspect any criminal conduct or otherwise suspicious activity on his part. Singer also never asked the Holts to engage in any illegal or unethical activity. “We never witnessed any suspicious activity, and we were never approached by him to engage in anything suspicious,” Deidre said. When the news broke about Singer last month, the Holts said they were shocked. They haven’t spoken with Singer since the fall of Jordan’s sophomore year.